The market of services in the field of trade in binary contracts is growing at an extremely fast pace. Of course, this entails an increase in competition, and different companies try to attract customers more and more profitable offers. It is now more important than ever to be able to separate the grain from the chaff. But, first, let's find out what the binary options are, and what they eat with. 2.What is the difference between trading binary options and trading on the Forex market? 6.Can I make money on binary options? 7.Should I try to trade binary options? 8.Broker of binary options - what is it? 10.A trader on binary options - what is it? Binary options - this is one of the types of exchange contracts, which is used to generate profits on movements in the price of assets (currencies, stocks, commodities) in the world financial markets. 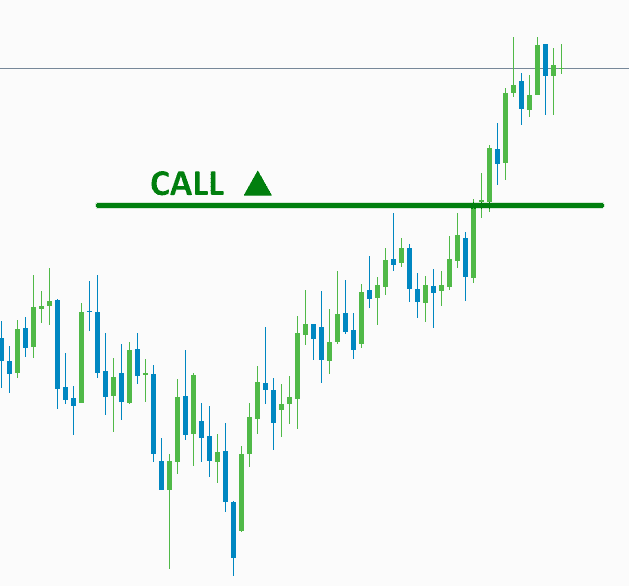 In fact - this is a simplified and more profitable variation of the well-known Forex market. These options are also called fixed-profit options, they have a specific date and time of execution, as well as a pre-known amount of potential income or loss. What is the difference between trading binary options and trading on the Forex market? The difference between trading in binary options and trading on Forex is mainly that in order to make a profit in the Forex market, it is necessary that the asset quotes advance in the direction of your forecast by a certain number of points, after which you close the deal when you consider that the asset has exhausted its potential for growth or decline! But with binary-option trading everything is different - it does not matter how many points will pass the price, the main thing is this direction. One point, passed by the price in the direction of the forecast, will be enough to obtain a fixed income! At the same time, the option completion time (expiration) is determined in advance. In simple words, a binary option is a bet on whether the price of the selected asset will rise or fall. Binary options are not a game, so you need to treat them accordingly. To profit on binary options, you need to predict the behavior of the price of a particular asset. The following example will help in this. At the beginning of trading the asset has a certain price, which changes almost every second. The trader should determine where the price will move at a certain moment: higher or lower. Having made a bet and indicating the expected movement of quotations, it remains to wait for the end of the expiration date you set. If the forecast was justified - the trader receives a profit of 70-90% of the deposit. If the forecast is incorrect, the amount of your bet (the amount by which you bought the option) is debited from the account. We can assume that the principle is somewhat similar to playing roulette - either red or black. The difference is that the trader's actions are not confined to the simple guessing which side the coin will drop, but requires an assessment of the risks of the upward and downward trends of the market. Quotations move based on world market prices and economic indicators, which means that it is possible to analyze and determine the probability of the direction of the price movement. Suppose you are betting on the growth of the price of gold before the end of the hour. If at the end of the hour the price of gold becomes higher than when you made a bet, you get 70-90% of the profit from the size of your bet. And it does not matter how much the price has grown, even if it has risen by just one point - you still win. Assets are currency pairs, indices, commodities, stocks or other securities that can be used to conclude contracts for the purchase or sale (PUT or CALL). Option PUT - A transaction to purchase an option to reduce the value of the selected asset, is executed if a price reduction is expected. CALL Option - A transaction to buy an option to increase the value of the selected asset, is executed if the price is expected to increase. One Touch or OneTouch - A deal to buy an option to reach a price of a certain level (One Touch), or not reaching this level (No Touch) until expiration. Expiration - The time when the option expires, i.e. the result of the contract is fixed. The period for which you make a deal. 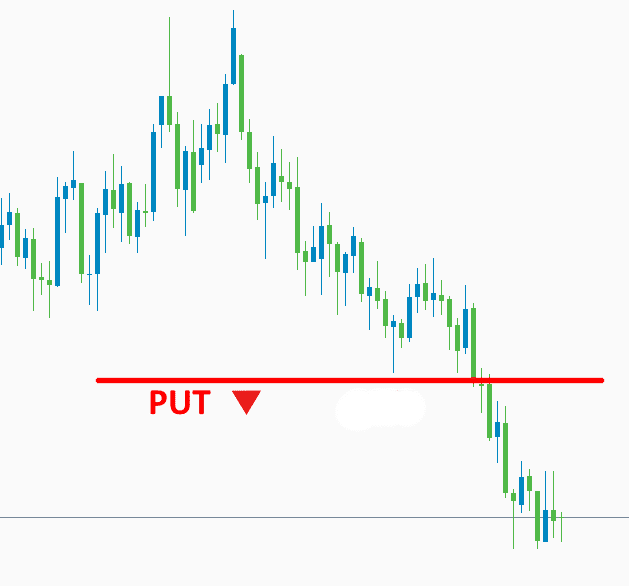 In / Out Options - An option purchase transaction in which a corridor is predicted in which the price will move until the expiration (In-option), or the price out of this corridor (Out-option). Timeframe in binary options is the time period on which the asset price chart is displayed. For example, on a 5-minute tamframe, one candle (candlestick chart) means 5 minutes, 10 such candles mean 50 minutes, etc. Switching the timeframe simplifies visual analysis of graphs for short, and long periods of time, visually compressing the graph to the desired size, defined by the graph window frames. Simplicity. There are basically two main buttons - "Higher" or "Below". Quick income. At Forex, traders can wait for several weeks to complete the transaction. In binary options, you can trade even on time periods of 30 and 60 seconds. Although most prefer deals from a few minutes to 1-3 hours. It is thanks to these items that binary options lured many traders with Forex. 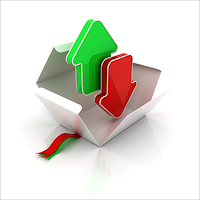 The main goal of binary options is to guess the direction of price movement. But, nevertheless, there are different variations of them. Classic binary options are the most common option. As you already know, you should simply open a deal to raise or lower and wait for the end of the expiration. Usually the deal lasts from 10 minutes to several hours. Turbo-options - differ from the classical only in the expiration period. Here it is only 30 or 60 seconds. Due to this, it is possible to make up to 60 transactions per hour, but it is extremely difficult to predict the behavior of quotations in such a short period. Touch - in this case there are two lines: top and bottom. Opening a deal, the trader remains in profit only if the schedule reaches this line. There are also options "Ladder", "Range" and many others. However, their popularity is much lower. In addition, inexperienced traders understand them more difficult. Can I make money on binary options? Any trading in financial markets requires certain skills. Experienced traders, as a rule, lack discipline and economic knowledge, and 90% of traders lose their deposits. Therefore, it is important purposefulness, a willingness to learn and admit mistakes. The statement that it is impossible to earn binary options in principle does not correspond to reality. Of course, trading is not an easy business and is not given to everyone. However, the same can be said for any other market. Should I try to trade binary options? To trade or not is a private matter for everyone. Before choosing a broker, it is advisable to carefully study the opinions of experienced traders and bargain on a demo account. Then it's reasonable to choose a budget option with a minimum deposit and understand whether it makes sense to deal with this matter. It is not superfluous to get acquainted with the rating of reliable brokers to avoid scammers. It is important to remember that any trade on the stock exchange always involves some risks. That's why, we never recommend trading in borrowed funds, taking loans against property collateral and so on. Broker of binary options - what is it? 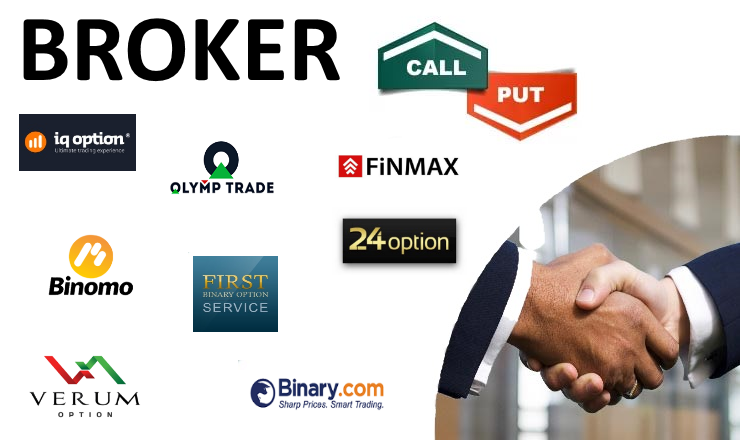 The binary option broker is an intermediary company between the trader and the market, providing a trading platform, through which the broker's clients can make transactions. Roughly speaking, this is the place where you are directly trading. Therefore, the selection of a broker for trading should be approached with all responsibility. Since in this area, as elsewhere today, brokers-fraudsters can come across, who forge quotes, do not take profit, etc. A broker is primarily a legal entity - a company that provides you with services related to access to the financial market, in which the trader, that is you, independently carries out operations. 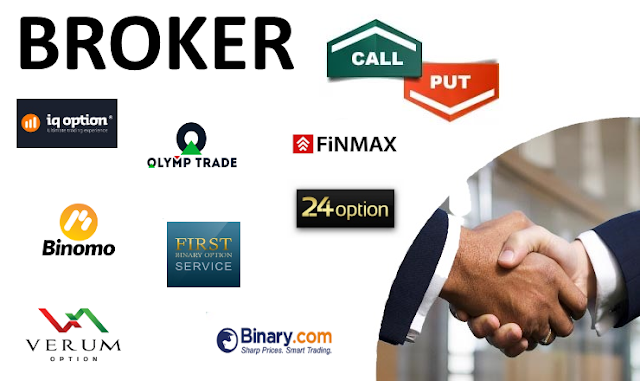 Broker of binary options would be more correct to be called - the company that provides brokerage services. This is a fairly significant difference. The matter is that brokers can be divided into two categories - brokers, carrying out operations on behalf of the client and at the expense of the client's funds, and the second, - brokers, who carry out transactions on their behalf, but at the expense of customers. The second category is often large financial corporations, in which clients are investors and receive a percentage of the company's total profit. But the first option is exactly the companies whose services we use when trading binary options. Trade is needed only at the broker, which is controlled by special bodies. On the main page of the official website, this is shown immediately. The main regulators in Russia are the CROF and KROUFR. In Europe, these functions are performed by the Cyprus CySEC organization. A trader on binary options - what is it? A trader is a profession based on earnings through speculation on constantly changing market quotes. Actually, if you trade on binary options, then you are the same trader. Congratulations on your new profession. However, in order to become a successful trader and begin to earn stably, you need to learn a certain amount of information and have practical experience that comes with time. Brokers are checked for presence in the black list of Dailyforex and AMF, as well as for the existence of claims in regulatory authorities. For example, a broker licensed by the Cyprus Securities and Exchange Commission (CySEC) may operate throughout Europe, with the exception of a few countries that have their commissions. For inexperienced traders, one of the most important and interesting aspects is the presence of an unpaid demo account. Some brokers give customers the opportunity to trade on the platform without a deposit. This allows you to get acquainted with binary options and try your hand at trading, without fear of losing your personal funds. Traders argue that the availability of a demo account positively affects the decision to cooperate with the broker. The "Minimum position" indicator determines the minimum amount for which an option is purchased. As a rule, it is about 1/10 of the minimum deposit rate and can fluctuate in the range of 1-20 $. Perhaps, if you are an inexperienced trader, it makes sense to start with a minimum and subsequently increase the account. The percentage of profitability indicates which profit, if successful, expects you to 1 ruble or a dollar. This interest rate varies depending on the asset and the situation on the market. A predictable asset reduces the percentage of return. The "Return percentage" parameter indicates the cash interest that will be returned to the account if the forecast is incorrect. It is determined in advance, and it affects the percentage of profitability. 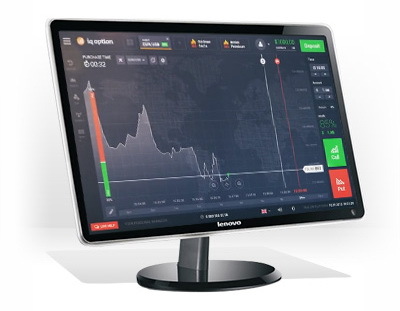 A platform is a trading terminal with which you can trade binary options. For any broker, the advantage is the presence not only of the main terminal, but also of the mobile application. The latest versions not only support, but also extend the functionality of the web platform. An installed mobile application on the phone or tablet allows the trader to deal with option trading without binding to the computer and make transactions, being anywhere in the world. Learn information about several brokers at once, before making a specific choice. Each broker provides for trading its own platform, contract terms, types and amount of tradable assets, rates of return and training materials. Any of these elements can affect your potential profitability.